Suitable for adults and children of all ages, our skilled balloon modellers will share a laugh with your guests as they whip up special balloon creations. Trained in a wide range of models and designs, our balloon modellers are also more than happy to tackle fun or obscure individual requests. We can provide fast and dexterous balloon modellers to cater for any size of event, with them able to be both stilt or foot characters. 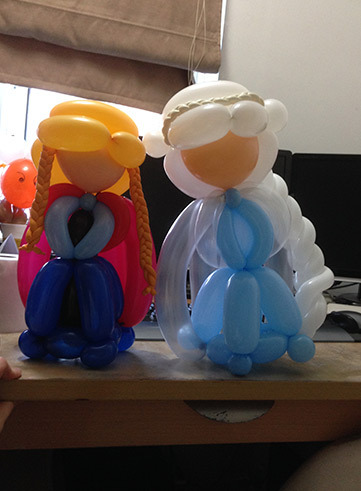 We will also happily match our costumes and balloon models to the theme of your event, such as elf balloon modellers at Christmas, who make penguins, reindeer and santa hats, or pirate balloon modellers that make swords and parrots. Fun and engaging, our performers can create a variety of characters and models for guests of any age to enjoy. Models produced can range from elegant animals to crazy hats, and even silly toys such as balloon swords and crossbows. 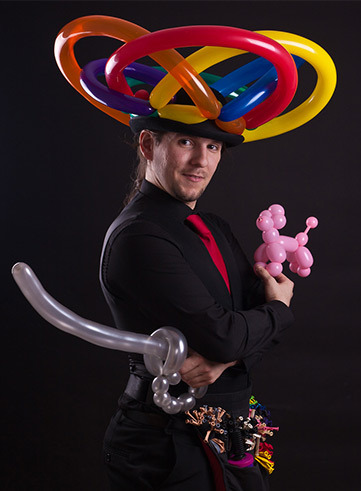 Why not book a balloon modeller for your sit down dinner? 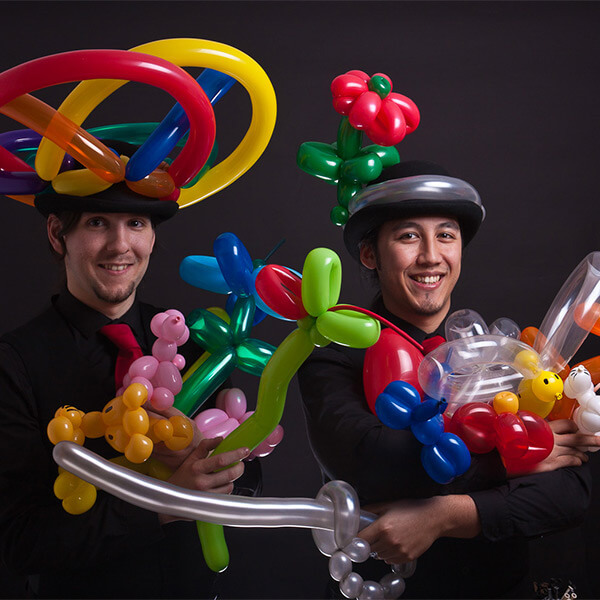 The performers will roam your event or tables between meals, and make comedy balloon caricatures of your guests or just outright crazy hats. They can take their personalised model home at the end of the evening, as a token of the event. 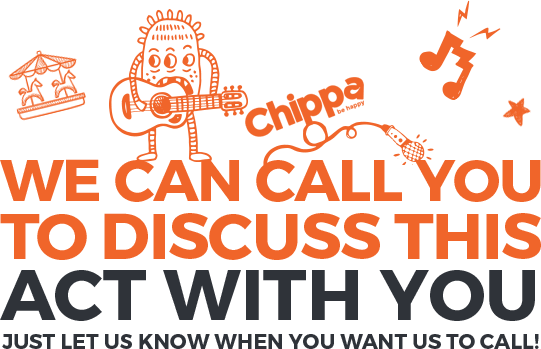 Ever needed some unique theming for your event or fancied something a little more comical, yet still artistically fascinating? 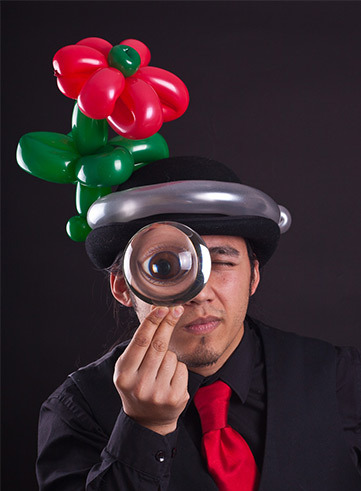 Why not look into our balloon sculpture. 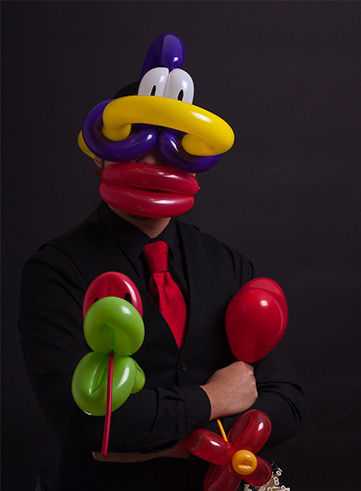 Our team of balloon artists can make special scenery for your function in advance, such as archways or centerpieces, or your guests can witness one being made during the event.